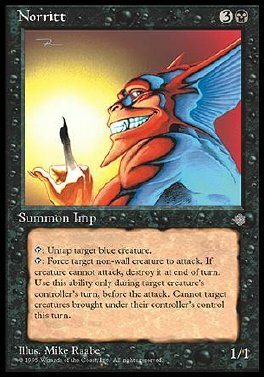 T Untap target blue creature. T Target non-Wall creature attacks this turn if able. If that creature doesn't attack, destroy it at end of turn unless it came under its controller's control this turn. Play this ability only during that creature's controller's turn before the declare attackers step.